Christmas is the most awaited time of the year when near and dear ones gather under one roof to make some lovely memories. 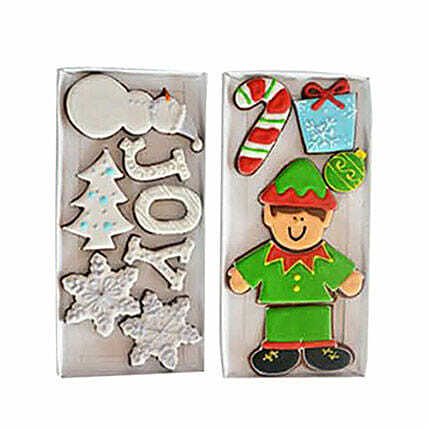 Here is a set of Christmas themed cookies that depicts, a snowman, an elf, gift box, stars, x-mas tree, and the word JOY. Enjoy your cup of coffee with these thrilling cookies.